Now I know this post is going to be slightly controversial. Every so often there will be a form of footwear which will divide fashion opinions like the Red Sea, i.e. Uggs and Crocs. 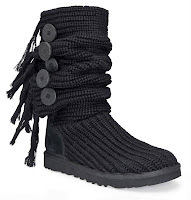 The Crocs debate is easy, I think they are a ridiculous eyesore but I’m more on the fence with Uggs. I don’t own any myself but I cursed myself for my lack of warm, practical footwear during winter – especially during the snow. 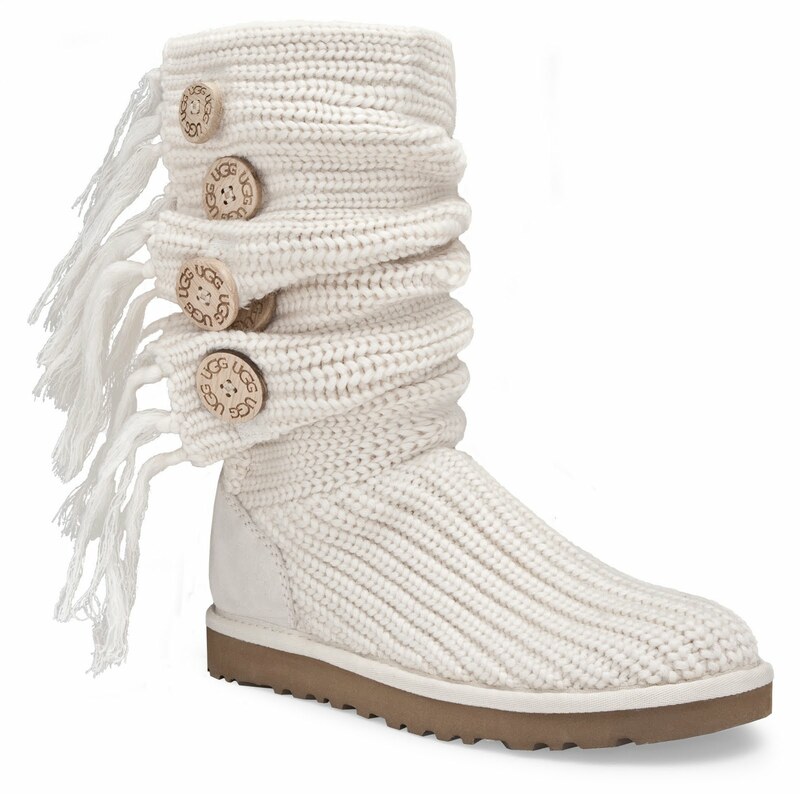 But I know there are plenty of you out there who wouldn’t wear them come hell or highwater. I think the new collection might just change your perception though. I’m not a big fan of the ubiquitous sheepskin ones, but I’ve secretly quite liked the knitted ones for a while. The sheepskin ones have been worn by one too many WAGs for my liking. The new collection at Daniel Footwear is a subtle shift away from the classic Uggs, as well as being knitted they have fringing and big buttons – it’s all in the details.Think you can handle the new Ugg Boots A/W 2010 collection yet? 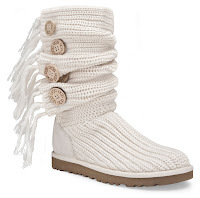 what i don't actually understand about uggs is that everyone labels them as practical, but they're not really at all; you can't wear them in bad weather like rain or snow because it ruins them. so when DO people wear them?! I got sent a pair of Whooga boots from Australia last year and whilst I would have to admit I would never have spent £200 on them, I just couldn't stop wearing them, they were so amazingly comfortable.I got grey ones and they have much thicker and more practical soles than normal uggs but I did quite like the way they looked with leggings. My main problem is that when that many people start wearing a trend like this and there are so many badly made fakes around, it just puts me off because I don't want to look the same as everyone else. Ya no wat they do look ugly, though iv warmed to the idea over the years and after my first pair i abosultely love how comfy they are especially last winter they have saved me from the amount falls i could av had walkin on horrible slushy snow – so im totally for uggs comfort factor totally outways how it looks, HOWEVER crocs are a whole different story – they are plain ugly! !